Are you looking for something unique and out of the ordinary? 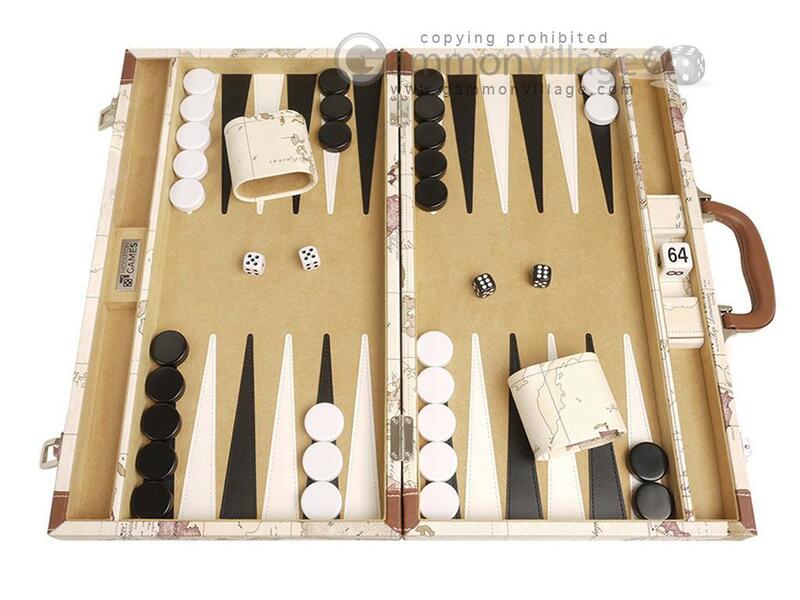 Take a moment to explore this magnificent backgammon set from Middleton Games. With a long history of manufacturing quality board games, you will appreciate the exquisite materials and fine craftsmanship that have gone into this product. The rugged and sturdy luggage style handle is a noticeable upgrade compared to other backgammon sets. The playing surface is an exceptionally plush faux-suede (you'll stroke it over and over again!) and checkers glide smoothly from point to point. Speaking of checkers, you'll appreciate the large 1-1/4" x 3/8" checkers that come with this backgammon board. In addition to being hefty, you'll also appreciate how well they fit on the playing surface when you have 6 checkers side by side with almost no gap between them. The side pockets provide a snug fit when packing up the game, making opening and closing the case a breeze. Quality materials and quality craftsmanship rolled into one very stylish backgammon board. Closed Length: 18 1/4" Width: 10 1/2" Height: 2 1/2"
Open Length: 18 1/4" Width: 21" Height: 1 1/4"
Cup Height: 3" Width: 1 1/2" Length: 2 3/4"
Page P4586 Copyright © 1999-2019 GammonVillage Inc., USA. All rights reserved.